Inflation is one of the most ignored factors in retirement planning. Money just isn’t worth what it used to be. As prices and values change gradually, you may not notice it. But over the long term, inflation can take a powerful bite out of your account. Any money that you have sitting in savings will be worth less in the future than today because of inflation. Therefore, when planning for retirement, you need to take inflation’s debilitating power into account. While your money may stay safe in a traditional bank deposit, it will certainly not grow much (given today’s low interest rates), and may not retain its purchasing power in the future. This means that while $3 may be able to buy you a cup of coffee today, when you retire, you may need $8 or more to buy the same cup of coffee. One of the goals of investing should be to beat inflation and make sure your money retains its purchasing power. 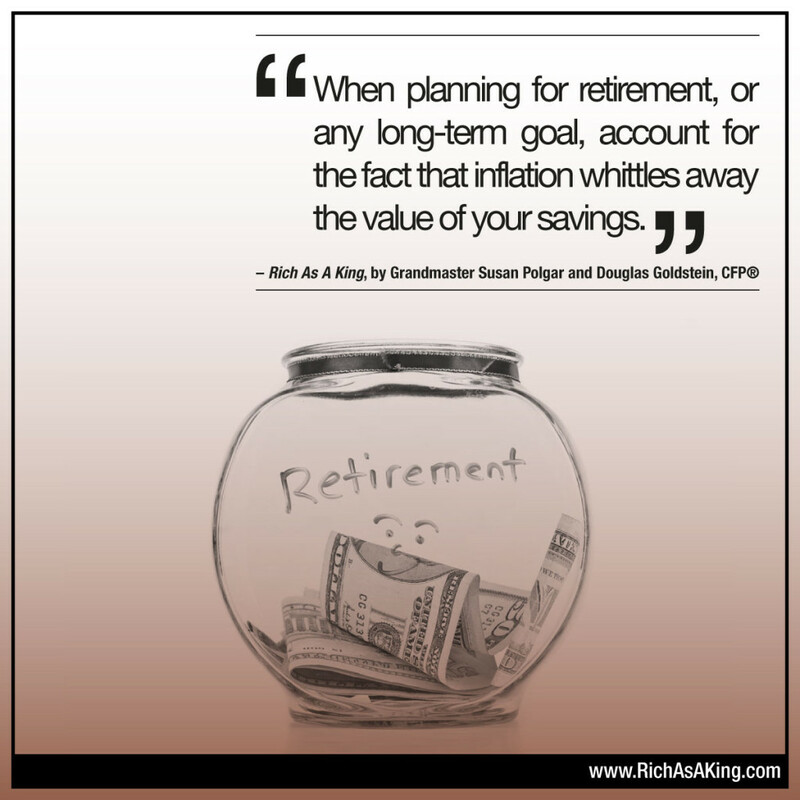 Don’t neglect inflation when making your calculations as to how much your savings may be worth when you retire. For a simple strategy to protect your money from inflation, read this.